The low-cost AccuTools® BluVac+ Micro Wireless Digital Micron Gauge represents a breakthrough in economical vacuum measurement. 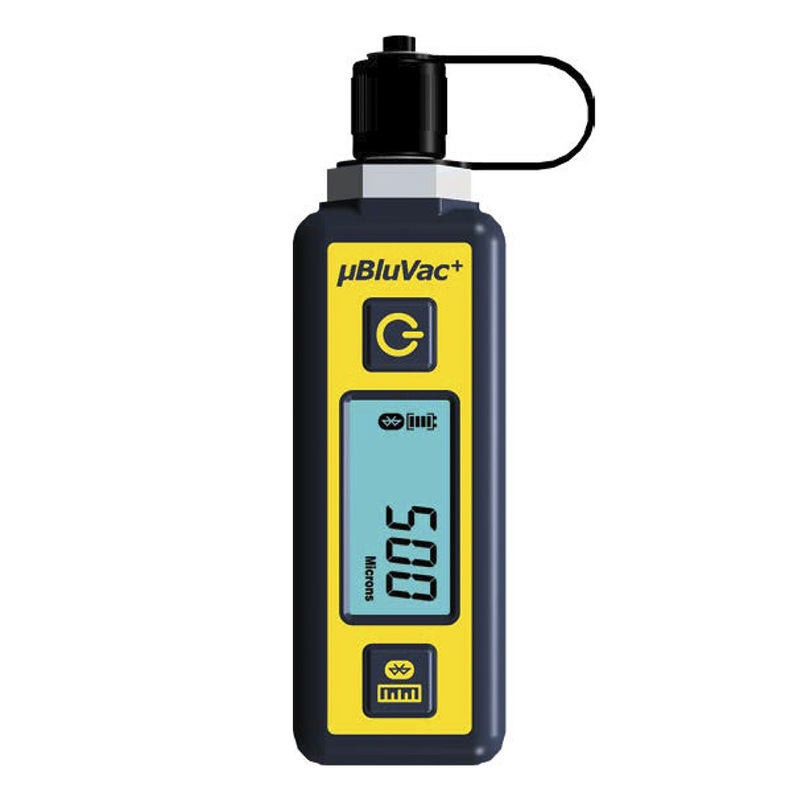 Small and light enough to fit in a shirt pocket, the BluVac+ Micro has Bluetooth Smart® wireless capability and is a full-featured basic micron gauge that utilizes our famous patented BluVac+ technology to provide the highest accuracy and dependability at the lowest possible cost. The BluVac+ Micro accurately and quickly measures vacuum in Microns, Pascals, Millibar, mmHg, and Torr with a resolution down to 1 micron. Sporting a large back-lit display, the BluVac+ Micro operates for up to 100 hours on two AAA batteries and at temperatures below freezing. The BluVac+ Micro can be operated stand-alone or in conjunction with an iOS or Android compatible app. Possessing the same accuracy and reliability of the BluVac+ Pro gauge, the BluVac+ Micro is ideal for budget conscious technicians without sacrificing performance. Innovative Oil Sensor and Self-Diagnostics ensure accuracy. The BluVac+ series of Micron Gauges are the only field-calibratable vacuum gauges that require no special equipment for calibration. The BluVac+ Micro comes supplied with everything you need for proper evacuation monitoring, including a coupler, carrying pouch, and batteries — you’ll be able to hit the job running. Dimensions 4.3" x 1.3" x 1"